In Apple Mail, open Preferences > Signatures. 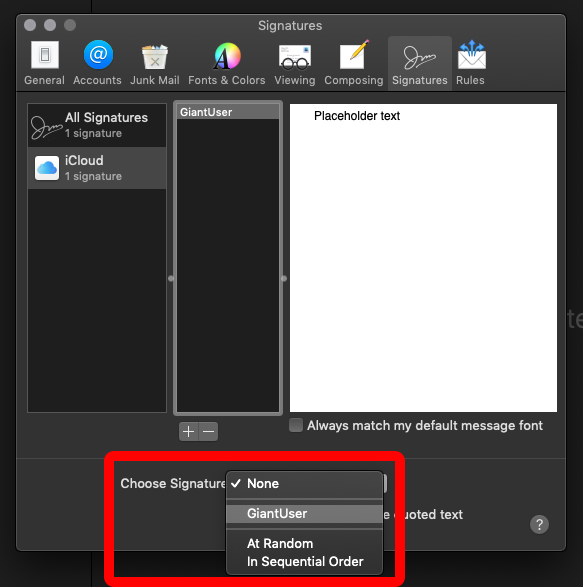 Associate the new placeholder signature with one of your email accounts by dragging its name from the second column to an email account in the first column. Write an html page inside of your favorite text editor. I use TextMate 2. Please do NOT use Microsoft Word, Dreamweaver or any other “smart” editor as these programs will manipulate your final code in a way which will most likely break your design for certain recipients. The page should not have html or head tags. 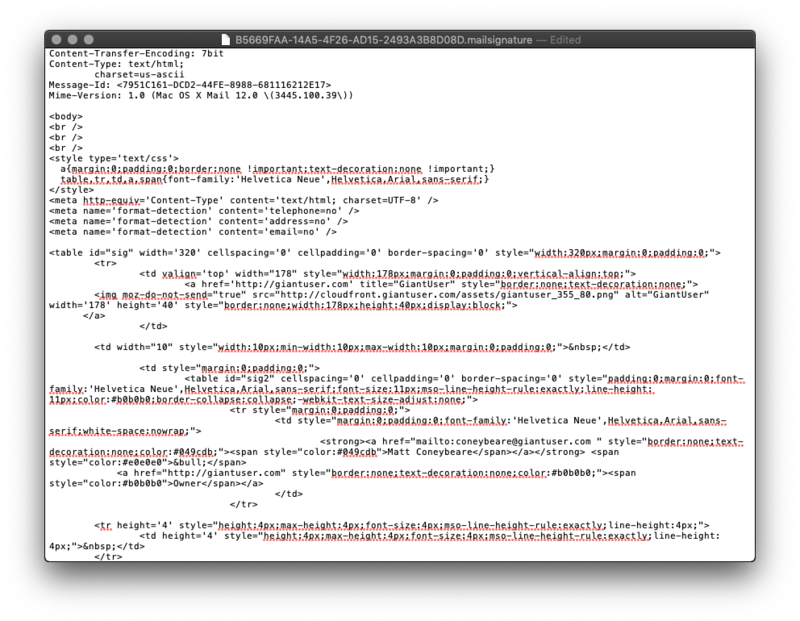 It should include only inline css, and should only consist of basic html elements (div, span, img, a, etc…). Even though many email programs now support more advanced tags, there is still a large percentage of people who use older versions of Outlook and other software, and you want your signature to look great for them too. Here is some example code to get you started. 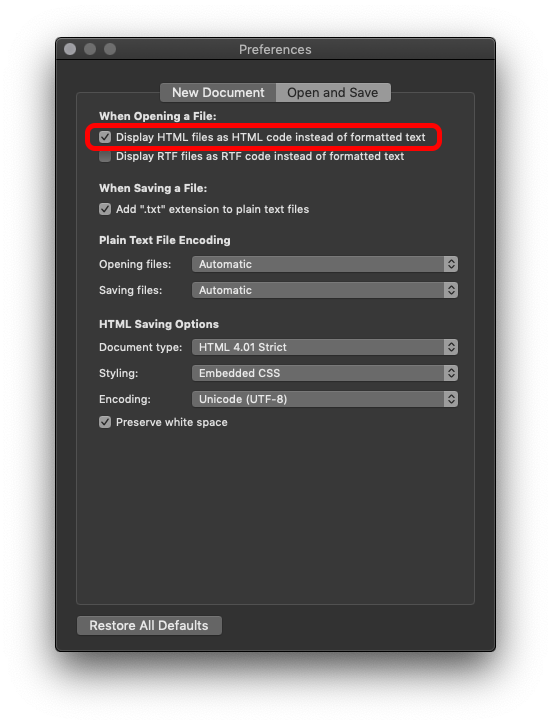 We are going to be using TextEdit to open code files in the following steps, so we need to ensure that it is setup properly to display the raw HTML code. 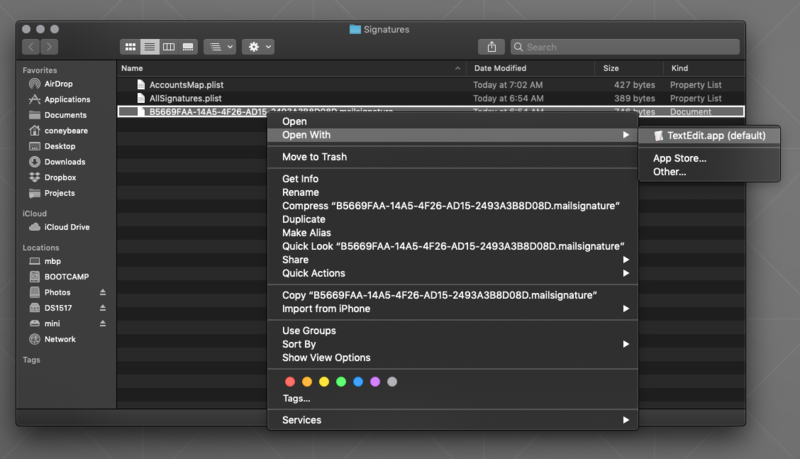 Open a TextEdit.app, found in Applications, start a new document, and open Preferences > Open and Save. Ensure that the checkmark next to Display HTML files as HTML code instead of formatted text is ticked. Close the Preferences panel, and close the new document. 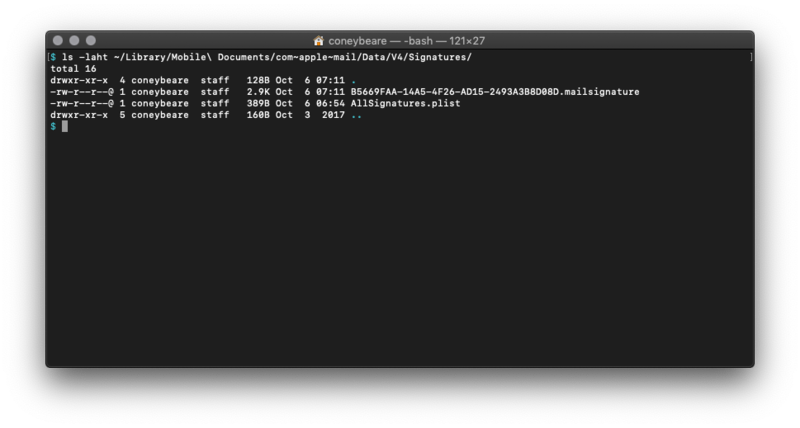 Apple goes to great lengths to hide these files from people as they usually contain info that is not usually editable by hand. 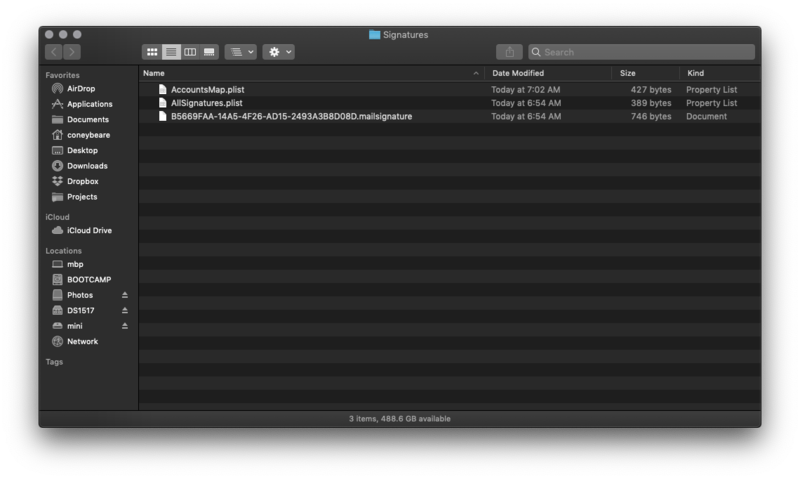 Trying to navigate to them by clicking in Finder will usually lead you to your visible iCloud Drive folder with nowhere else to go. Don’t worry though, I will walk you through an alternative method of getting to the hidden signature files we need to work with. 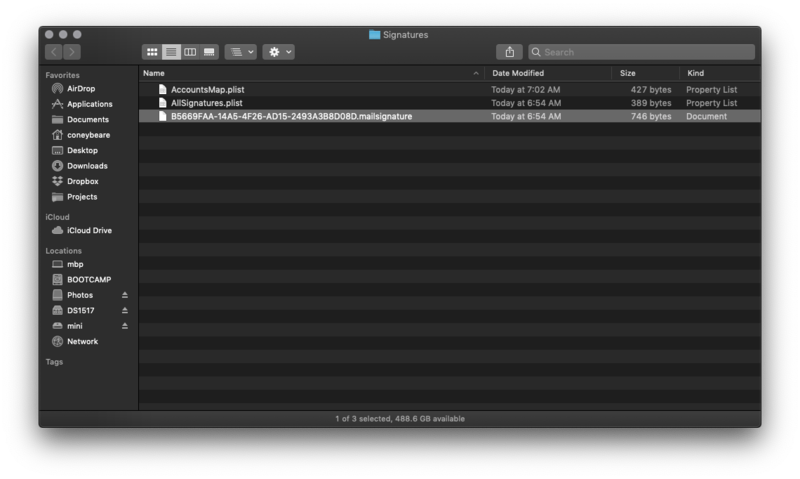 The files can be in 2 different places depending on whether you are using iCloud Drive or not. You are most likely using iCloud Drive, even if you are not using an iCloud email address. 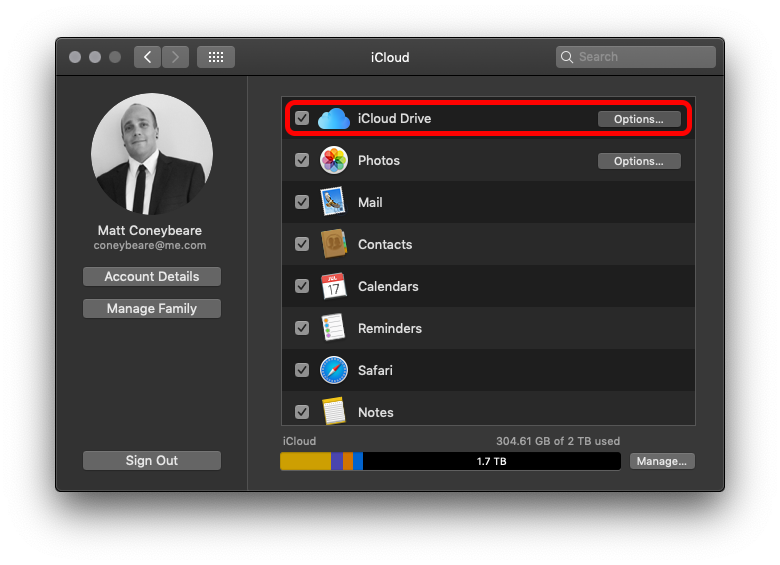 Check to see if you’re using iCloud Drive by going to System Preferences > iCloud, then look to see if the iCloud Drive checkbox is ticked or not. If both of these checkmarks are ticked, then you are using iCloud Drive and should proceed to the next step. If not, skip ahead to step 12. In the new lines that come up in Terminal after running the command, you should see a .mailsignature file that has the date and time of when you started this tutorial. 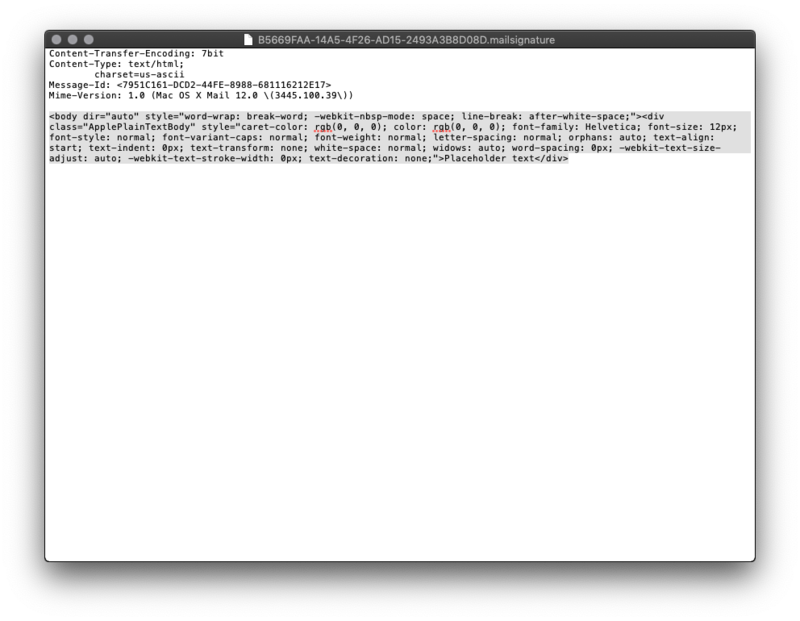 This is the placeholder file. If you don’t see a file, then you may have done something wrong in a previous step, and should try again. Once you have the file(s) open in TextEdit, move on to step 13. 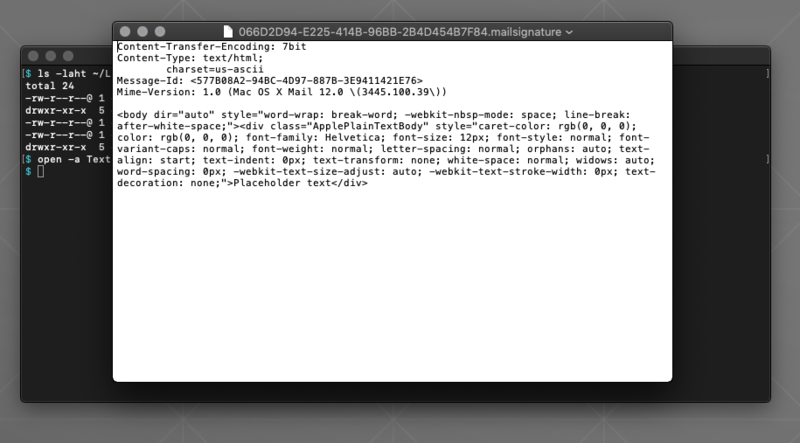 If you cannot find the placeholder, you may still be in “edit” mode on the signature. 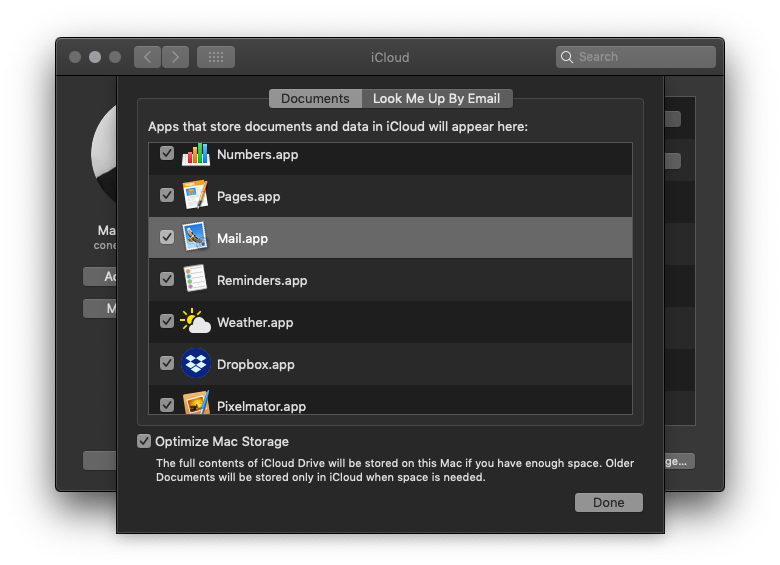 Try closing the Mail > Preferences Window, quitting Apple Mail and repeating the previous steps. 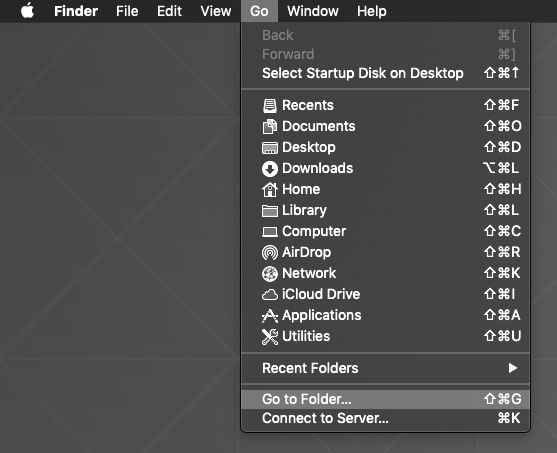 If you still cannot find the placeholder, you may need to double check that you are/aren’t using iCloud Drive, as detailed in an earlier step. 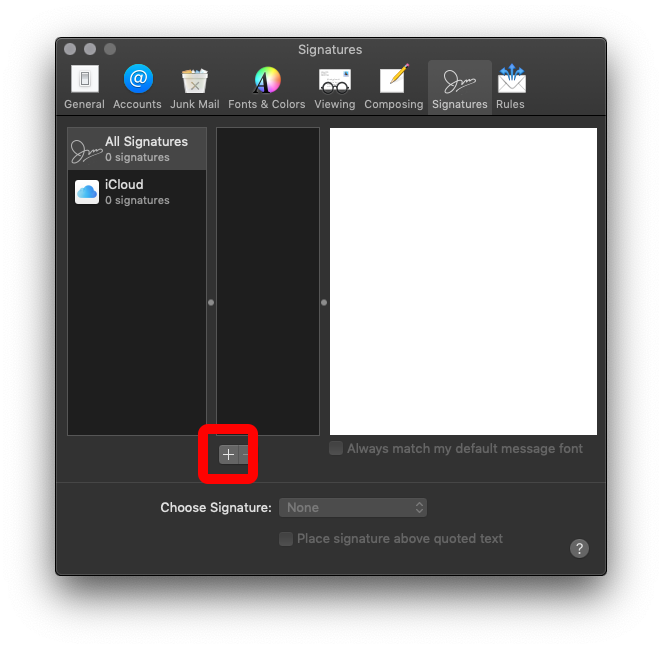 Even though you saved this file, Apple Mail may use the original version and overwrite your new signature unless you lock the file. 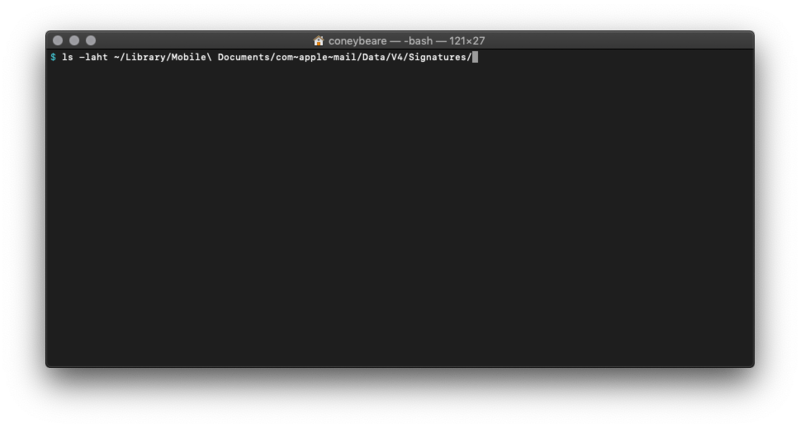 With your text editor now closed and the file saved, open Applications > Terminal.app, paste the following line, and press enter to lock all the .mailsignature files in the folder. 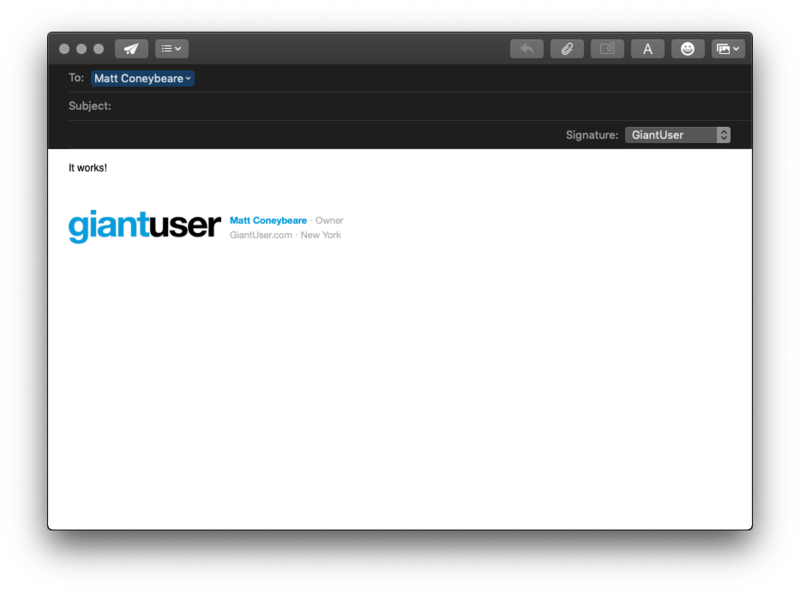 If you need additional help with html signature design or implementation, I have founded a company called GiantUser (it’s an anagram of “signature”) to do just that with very reasonable prices. Check it out! Finally, I also run a small software company called Urban Apps and a New York City cultural blog called Viewing NYC. They pay the bills so I can take the time to write helpful posts like this one. If you found this posting helpful at all, I would really appreciate it if you would check out my iPhone/iPad Apps on the iTunes App Store, check out Viewing NYC, or even buy me a beer!